Professor Patricia Williams, one of the most provocative intellectuals in American law, is one of 25 recipients of this year's MacArthur Fellowships, a "genius" award given annually by the John D. and Catherine T. MacArthur Foundation. An interdisciplinary legal scholar and public intellectual, Professor Williams will receive $500,000 over five years of "no strings attached" support. "Using the tools of literary and legal theory, Williams sets out her views of contemporary culture and events," the MacArthur Foundation stated in announcing Professor Williams' selection. "Her voice has created a new form of legal writing and scholarship that integrates personal narrative, critical and literary theory, traditional legal doctrine, and empirical and sociological research." Professor Williams' highly regarded first book, The Alchemy of Race and Rights: A Diary of a Law Professor, is an autobiographical work that illuminates some of America's most complex problems. Throughout her career, her essays and columns have challenged what many take for granted in our society, particularly with regard to cultural constructs of race and gender. Professor Williams, who joined the Columbia Law School faculty in 1991, received a B.A. (1972) from Wellesley College and a J.D. (1975) from Harvard University. She served as a deputy city attorney (1976-1978) in the Los Angeles City Attorney's Office; staff attorney (1978-1980) for the Western Center on Law and Poverty in Los Angeles; assistant professor (1980-1984) and associate professor (1984-1985) at Golden Gate College; and associate professor (1984-1988) at the City University of New York in Queens. She has been affiliated with Columbia University Law School since 1991, and has also taught at the University of Wisconsin at Madison (1988-1993). 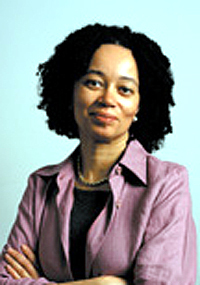 She is the author of The Alchemy of Race and Rights: A Diary of a Law Professor (1991), The Rooster's Egg: On the Persistence of Prejudice (1995), and Seeing a Color-Blind Future: The Paradox of Race (1997). Influential not only in legal circles but in the public domain as well, she is a columnist for The Nation. A MacArthur Fellowship, which is impossible to apply for, is one of the nation's most prestigious awards. There is no application or interview process, and first word of the award comes in the form of a phone call from the Foundation. "It is the first and only call we make to them, and it can be life-changing," says Daniel J. Socolow, director of the Fellows Program. Several hundred people serve as nominators for the Fellows Program. These nominators, who serve anonymously, are chosen for their ability to identify people who demonstrate exceptional creativity in their work. A 13-member Selection Committee, whose members also serve anonymously, makes recommendations to the Foundation's Board of Directors. The Foundation neither requires nor expects specific projects from the Fellows, nor does it ask for reports on how the money is used. An important underpinning of the program is confidence that the Fellows are in the best position to decide how to make the most effective use of the Fellowship resources. While there are no quotas or limits, typically between 20 and 40 Fellows are selected annually. Including this year's group, a total of 588 Fellows, ranging in age from 18 to 82, have been named since the program began in 1981. Columbia Law School Professor Charles Sabel served as a MacArthur Fellow from 1982 to 1987.